It’s quarter to three. There’s no one in the place ‘cept you and… Ol’ Blues Eyes. Frank Sinatra is a name synonymous around the world. A legend. An icon. A one-off. Singing the songs that Sinatra made so famous is a difficult feat, but actually trying to become him body and soul, is a near impossible challenge. However, Richard Shelton is quite possibly the closest living incarnation of him you can find. With his cosy and confidential show Sinatra: Raw, Shelton convincingly takes you back to a time of glamour, booze, and effortless cool that is truly intoxicating. It’s Palm Springs. 1971. Rock ‘n’ Roll is well and truly in, whilst the crooners and the lounge singers of the 40’s are most certainly out. It’s old hat. Frank Sinatra, was once the biggest star on the planet, but his popularity has gradually dwindled as the likes of Elvis, The Beatles and now those trouble makers, The Rolling Stones have overshadowed him. But Sinatra perseveres. He finds himself back in Vegas, in the town where him and his Rat Pack buddies once ruled the roost, to give a small and intimate performance around the piano, for his nearest and dearest. It’s late. A few whiskies have been downed, and Frank is in a dangerously reflective mood, ready to say and sing anything he feels like. It’s Frank at his most enticing. Richard Shelton is no stranger to being Sinatra. 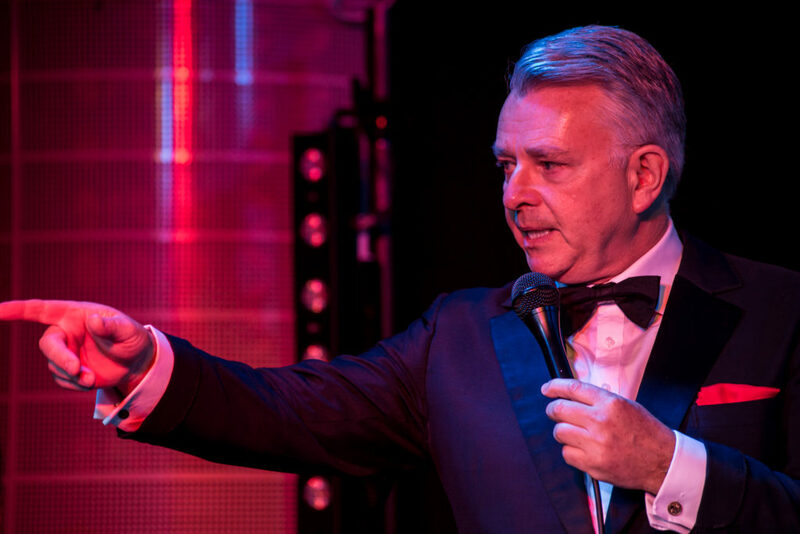 Having made waves as the Swing King in the West End show, The Rat Pack Confidential, and toured abundantly in one-man shows playing the legend, Shelton has certainly had years to perfect his act. He captures Sinatra spot on. Not just the singing but also his speaking voice and mannerisms. It isn’t a complete mimicry, more an essence of Sinatra, which actually works better. It’s a far cry from being a cheesy tribute act. Shelton has class. With just a piano and a little table with a bottle of Jack and ice – a Sinatra staple – the bare stage leaves way for the dominant presence that Shelton radiates. Opening with the song All or Nothing At All, the Sinatra catalogue of hits is explored one by one with precision. Between songs, Shelton offers a contemplative Frank who looks back at the highs and lows of his career, often outspoken and highly candid. This isn’t the version of the star you see everyday. With sophistication and style Shelton is deliciously smooth, like the whiskey he knocks back. However, he allows deep cracks within Sinatra’s persona to show which makes for a refreshing and multilayered performance. There’s no denying Shelton’s talent, proving his acting chops alongside his faultless singing. He offers an authentic portrayal of the man once simply called The Voice. Hugely entertaining and engrossing, this is a show that will leave you wanting more.